Thanks to the vastness of the Play Store we have more than one way to remove unwanted apps and duplicate photos on Android. However, Google still considered they can provide a better solution which is why they’re working on an app called Files Go. 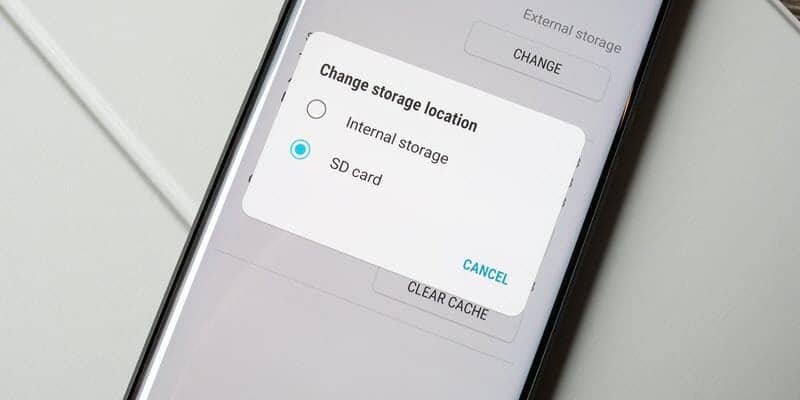 Files Go is still in beta at the moment and it was designed as a practical storage management tool that can help you easily free up space on your Android. Files Go detects duplicate photos, as well as apps you never use or you’re using rarely to help you quickly reclaim some storage space. Since Files Go is in public beta, anyone can download it. However, before you go ahead and install it be aware it’s not the final product and you might experience some stability problems with the app. Your files will be safe though. With Files Go is installed, you will need to grant it permission to access your files and photos. Once you do that, it will scan the Downloads folder and your photos and display the items you can delete. Please note Files Go will never automatically delete your files. It will simply list the files you don’t use anymore, as well as duplicate photos after which you can manually select what should be deleted. The removal process is quick so you’ll get back some precious storage space in no time. Nevertheless, keep in mind you can’t recover the deleted files. You can also set the app to monitor the Downloads folder and notify you when you have files that haven’t been opened in the past month. Just tap the three-dots icon in Files Go to access its Settings. 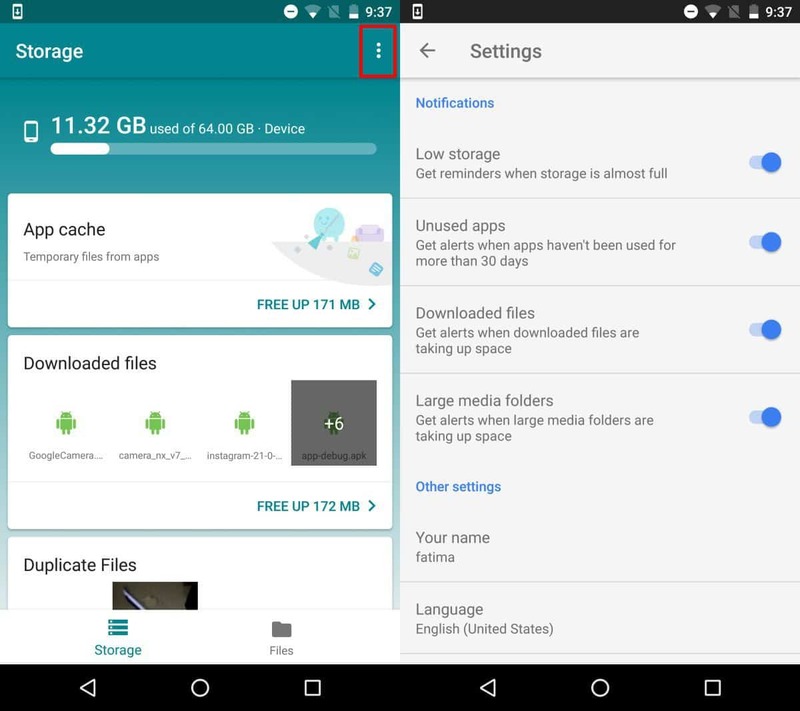 Besides the above-mentioned feature, you can set up alerts for low storage, downloaded files, and large media folders. Files Go has another feature worthy of attention – file sharing. It allows you to share files with nearby friends although some requirements need to be met. Firstly, both of you must be within Wifi and Bluetooth range, plus you need to have each other added as contacts on your devices. Go to the Files tab in Files Go. 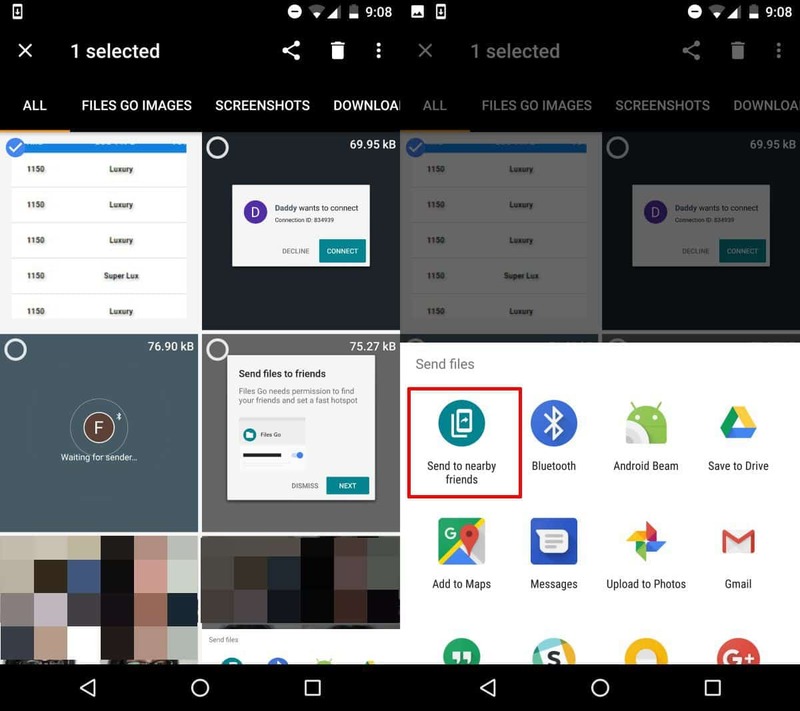 Select the files you want to share and tap the Share button right next to the Delete icon. Select “Send to nearby friends” on the share sheet. 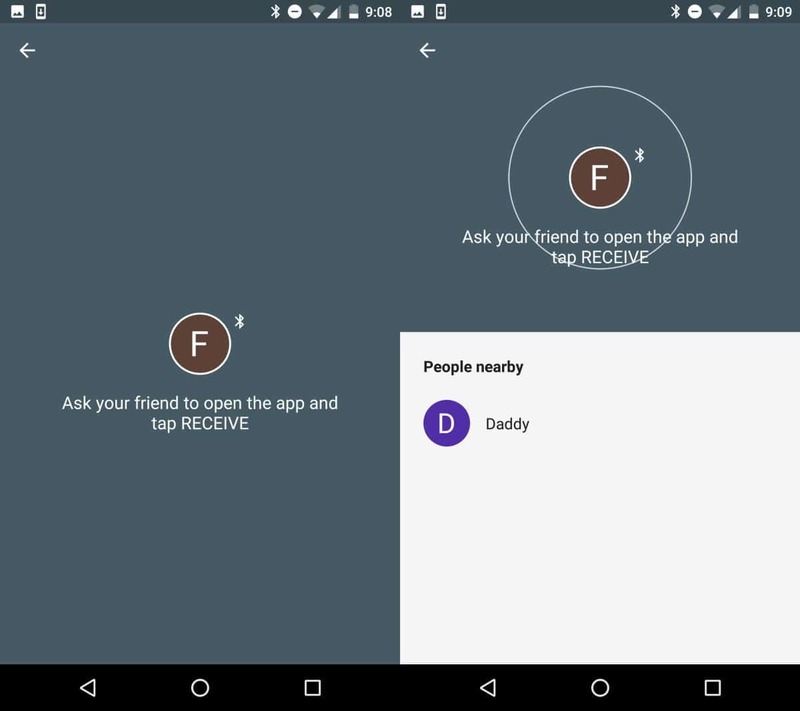 The app will automatically detect nearby friends that can receive your files. At this point, your friend should open the Files Go app as well, go to the Files tab and tap the Receive button. Once they tap Receive, you will also see their device and select it to send the files. The app relies on Bluetooth to detect nearby devices, but sending the files is done via WiFi.